In 1934, in the midst of the Great Depression, Rudy Buchheit started hauling livestock to market for local farmers. No superhighways, no GPS units – just Rudy, his truck, and his determination to feed his family. To make the most of each trip, Rudy began hauling goods back on his return trip. Turned out folks back home had a hard time laying hands on such merchandise. 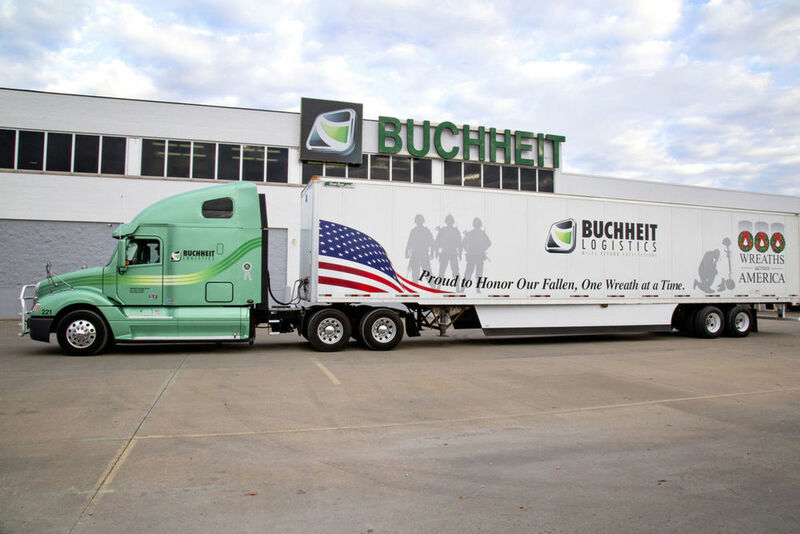 So Rudy’s efforts were an immediate hit, and Buchheit Trucking was born. Several million miles later, Buchheit has become the #1 independent logistics corporation in the region with a network connecting continents around the globe. The Buchheit name is also known as a trustworthy source for agricultural supplies. Buchheit retail stores offer a wide variety of home and farm products across the Midwest. Yet in spite of our success, we’ve never forgotten the simple principles that drove Rudy back in 1934: get it there on time, get it there in good condition, and get it there for a fair price. We call it “Rudy’s way.” And no matter how much farther down the road we go, we’ll never lose sight of it.